Moving to a new city is always exciting and a bit scary, especially if you barely know anyone there. Many expats and (Erasmus) students wonder what things to do in Budapest and where they can meet new people with similar interests. We believe hiking with us just outside of Budapest is the perfect solution! 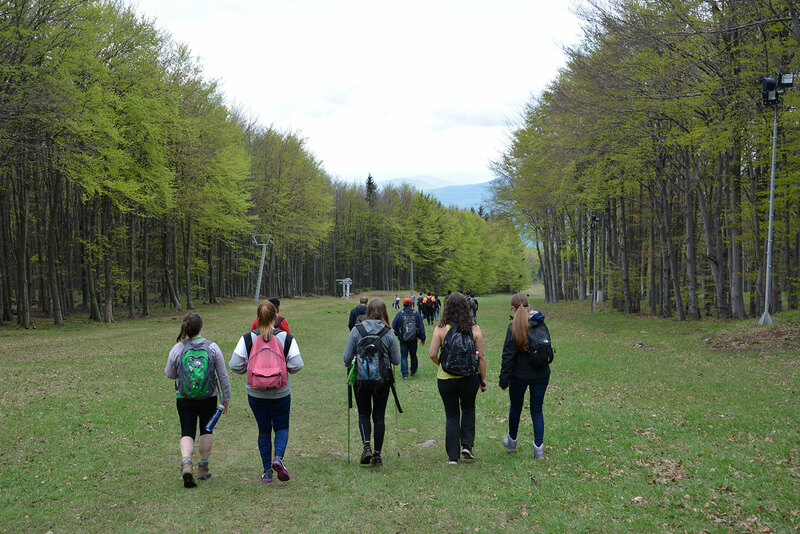 During our hikes, you get to meet a ton of new people and learn more about other countries and cultures, all while discovering new, beautiful parts of Hungary and getting some exercise. Many of our hikers come alone, but all of our hikers leave with new friends! We have put together a list that shows why hiking in Budapest is the perfect activity for new Budapestians! First of all, you get to explore a whole new part of the country! While many students and expats stay in the city center, (because there are so many things to do in Budapest! ), hiking is the ideal opportunity to see and experience more of your new country. 50+ people join our hikes every month. That means there is loads of new people to meet! We always have hikers that are new to Budapest and/or come to hike by themselves, so you never have to hike alone. There’s always something to talk about with your fellow-hikers. If it’s not the ‘where are you from, what are you doing here?’-conversation, it can be about hiking, travelling or places to go and things to do in Budapest. Since you are new to the country, you may have no idea where to go hiking in Budapest. That’s why we take care of transport, routes, company and even lunch if you want us to. You don’t have to worry, plan or find people to come with you, just turn up and hike. Our hikes take a few hours. We usually leave in the morning and don’t arrive back in Budapest until late afternoon/early evening. After that, we encourage all hikers with any energy left to join us for burgers and beers. You’ll be entertained for a whole day, without having to worry for things to do in Budapest. It can be awkward and uncomfortable to meet new people in bars and at meet-ups, don’t you agree? We promise you our hikes are nothing like that. Our hikers are always welcoming (hikers are friendly people) and the atmosphere is full of people in a similar situation looking to make new friends. What were your reasons to be an expat or (Erasmus) student in Budapest? We bet some of them were to try new things, explore new places and meet new people and cultures. You get all of that during our hikes! Things to do in Budapest: Come Hiking! So now we bet that you’re convinced and ready to join one of our hikes? Check out our upcoming hiking events! We have an average of 50 hikers attending our events with a strong mix of expats, hungarians and students attending every event. Our biggest events have had over 100 hikers. We really mean it when we say, the more the merrier! Still not convinced? See what some of our hikers have to say!